American manufacturing is at a turning point. 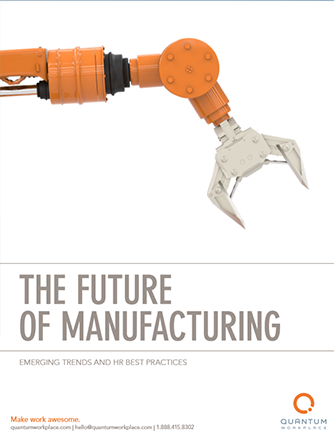 Rapid advances in technology have introduced automation on a remarkable scale, resulting in significant gains in production and seismic changes to the manufacturing workforce, both in the number of jobs available and the skills and education required to fill them. But for all the production and automation found on factory floors, the industry’s single greatest asset remains highly engaged employees.